We made it! It is the end of the school year. High-Fives to you! Now like I tell my students, just because testing is over, the weather is warmer, and the end is near, does not mean that we can stop working and learning. This is my favorite time to teach about descriptive language, especially Onomatopoeia. Descriptive Language is a fun skill that can help ease your class into summer vacation. 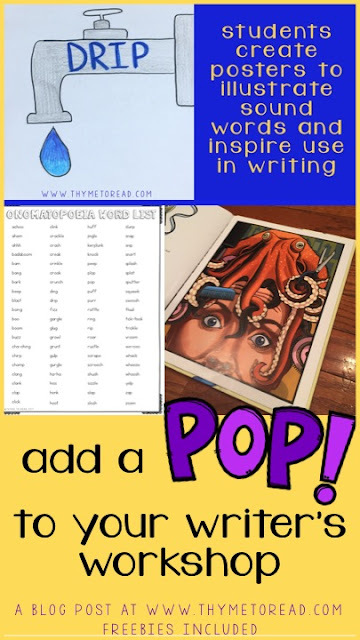 I have a really fun book to share with you that can help introduce Onomatopoeia and model how to use it effectively to spice up your students' writing. Before reading, I like to share what onomatopoeia is with my students. To do so, I tell a (possibly very true) story about my morning. It goes something like this: I woke up this morning and got out of bed. SQUEAK! I stepped on one of Reno's dog toys. Mr. Christensen groaned because he was not ready to wake up. SHH! I told him, go back to sleep. I went downstairs to put in a load of laundry and the washer WHOOSHED as I turned it on. Then, I came upstairs to start breakfast for Mr. C and Parker. Parker likes cereal and Mr. C like bacon, eggs and toast. As I turned on the toaster, it TIC, TIC, TIC'ed as I turned the knob, and the bacon SIZZLED in the pan. Behind me, I heard tiny footsteps...then BOO! it was Parker trying to scare me. I scooped him up and gave him a big kiss on the cheek MWAH! Parker helped me feed Reno, and CLICK, CLICK, CLICK went the dog food as Parker spilled it all over the floor. Then, Reno ran into the kitchen and ate it as fast as he could. CRUNCH! While this may not be the most natural story, it certainly helped introduce sound words with my students. It also allowed us to start having a discussion about how and why onomatopoeia can make our writing more interesting. 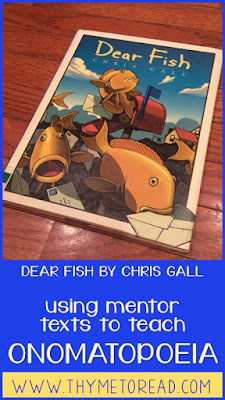 Dear Fish by Chris Gall is one story you could use to introduce onomatopoeia to your students. It is a story about a boy, who wrote a message to the fish at the beach, inviting them to come visit someday. The next morning, strange things begin to happen and sea creatures start to visit his house, neighborhood and school. The author naturally uses onomatopoeia to illustrate how the sea animals are invading. The sawfish and hammerhead shark were seen "swooping and whooshing and a hammering and yammering," while the boy's dad was making a tree house. They only left a cloud of sawdust behind them. The illustrations are equally as amazing, as the engaging story and incredible examples of onomatopoeia. My students LOVED this book. The ending is quite a laugh! You can find more suggestions HERE, or the Froggy books by Jonathon London are another favorite of mine. 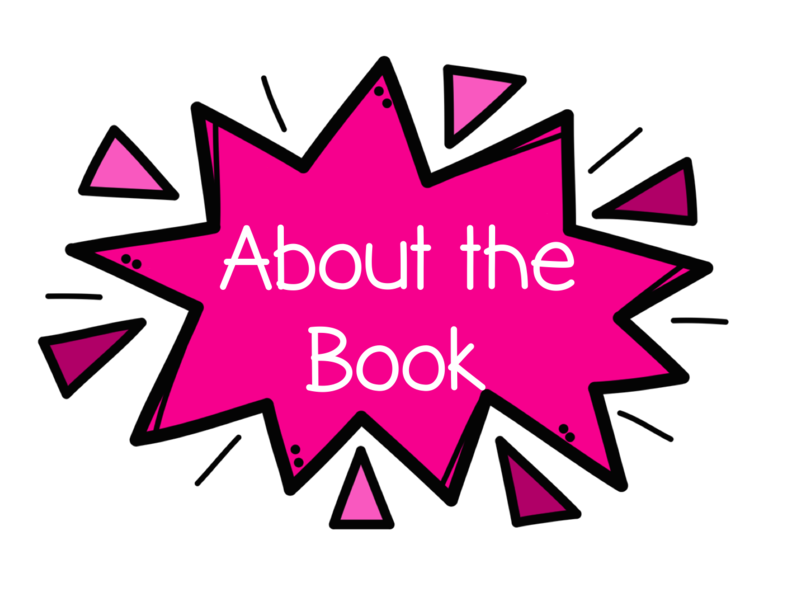 This book is jam packed with examples of onomatopoeia. 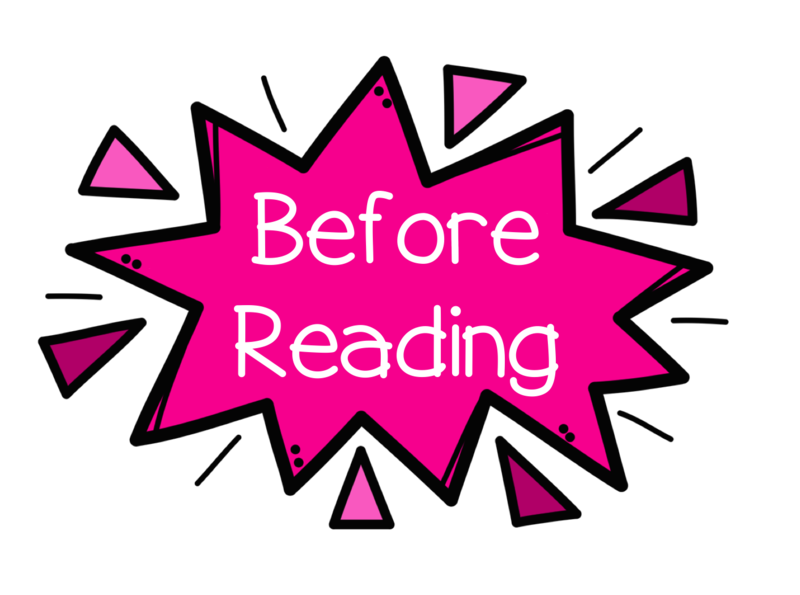 The first time through, I usually like to just read the book, and let my students listen. I want them to enjoy the story, rather than focus too much on the task. This first day, we talk about the author's style, and how the use of onomatopoeia helps us paint pictures in our minds. The text is much more descriptive because of the use of these sounds words, and it helps draw us in as readers. My students can get there with some prompting, and by talking about their favorite parts with a partner. The next day, I will re-read the text. While reading, I have asked students to record examples of sound words they hear. I have broken a class up into teams and asked them to record on certain pages. Each person gets a set of post-its and they write the sound words they hear. I know not every student is going to catch them all, so it is great to have them work together. After listening to the story, I have had my students, in their groups, brainstorm situations that would fit the examples they listed. This not only creates a list of words, but also gives students an idea on how to use them in their own writing. After reading, either on the 2nd day, or even on a 3rd day, compile the list of words on a class anchor chart. Your groups can share out their words and how they might use them. 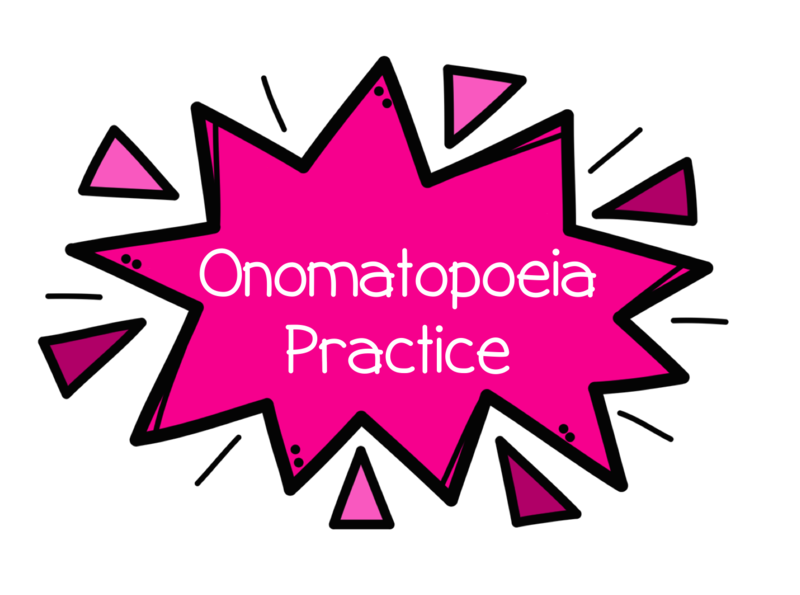 Then together as a class, you could brainstorm more, or review this FREE onomatopoeia word list. 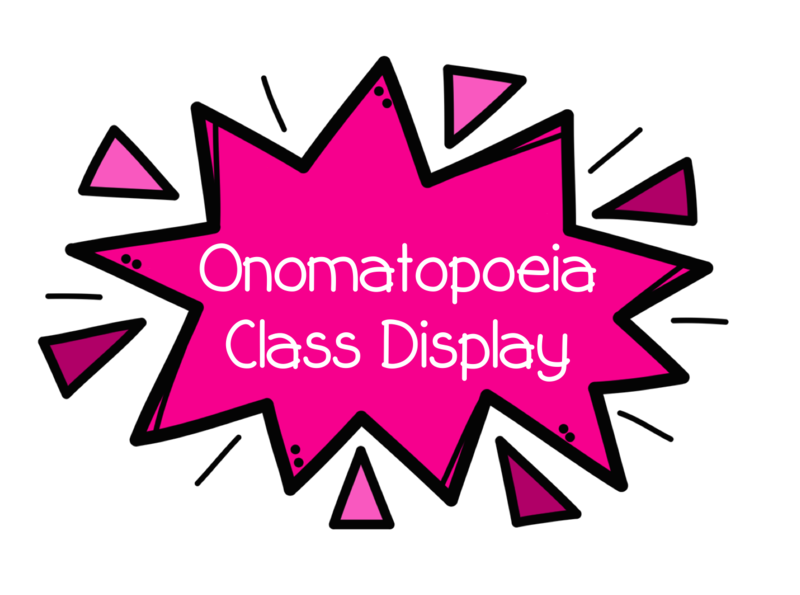 With the list your class generates, or the provided word list, your students can now help to construct a classroom display that encourages everyone to use more onomatopoeia in their writing. This was my students' favorite part. 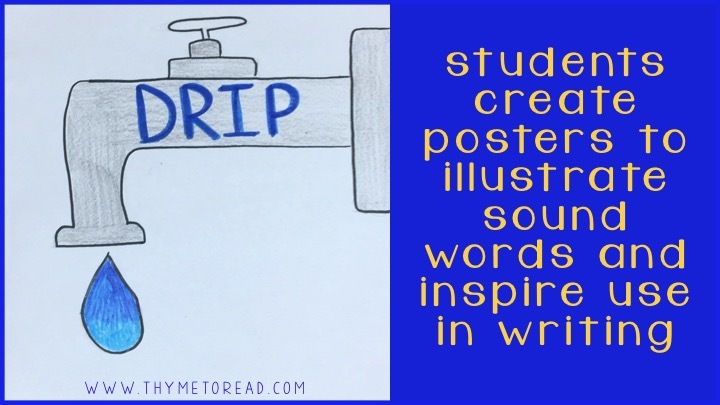 Students can pick a word, or you can assign them a word, and they illustrate a poster describing the word. 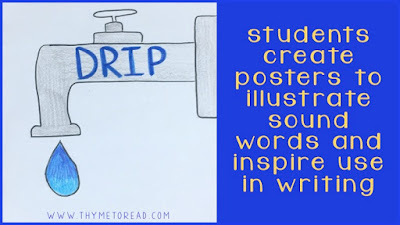 For example, for the word 'drip' a student of mine drew a leaky faucet with a drop of water coming out of it. These illustrations have always been so creative and helpful to other students trying to use more onomatopoeia in their writing. These posters can help inspire a story, or help elaborate on an idea already in progress. Now that our students understand what onomatopoeia is, what it is used for, and some examples, we need to get them to use it, so they can further develop their style. 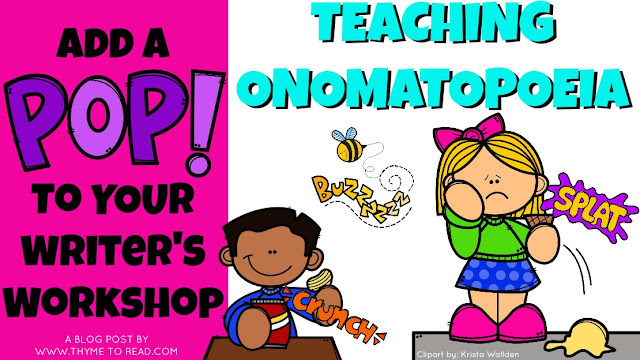 Here are THREE WAYS that will take your students from "teacher, teacher," to independent when using onomatopoeia. 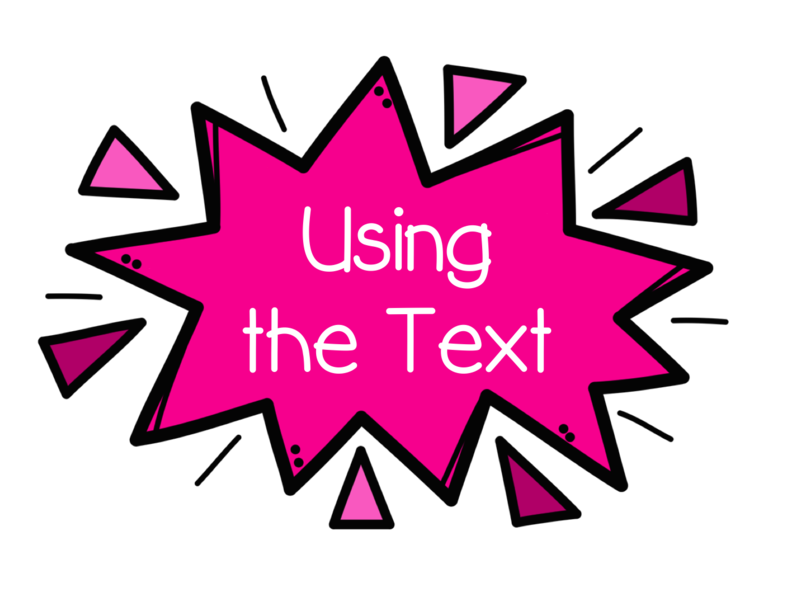 Teacher Guided: When I have taught this skill, I have lead my groups through some examples of text without onomatopoeia. Together, with my help, my students worked to identify examples of onomatopoeia that could bring the sentences to life. I first modeled how I would think about my options; first considering the actions in the sentence, and thinking about a time that I may have witnessed a similar situation. I explain that in order for our writing to be believable, it is best if we can connect it to a real experience. The freebie above has some sentences you can discuss with your group. The included page is a fill in the blank page, with a word bank, so you could use it morning work, or a bell ringer after your small group lesson. Collaborative: I think this is one of the most effective ways for our students to explore using onomatopoeia. Writing is a process, and this activity helps students realize that a writer's job is never done. I have my students pick a piece of writing they would like to improve, and with a partner they revisit their writing. They work together to re-read the writing, and make suggestions for opportunities to add onomatopoeia words. Independent: Finally, students can write a new piece. Again, writing is a process so it may not come naturally on the first draft. But hopefully they are keeping onomatopoeia in the back of their mind and creating opportunities for it to be added in later. 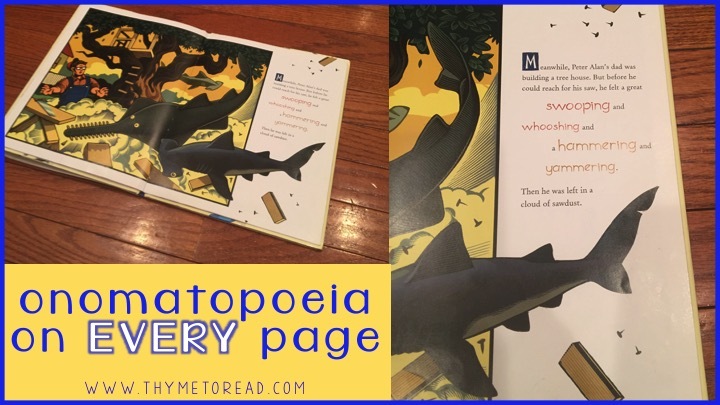 If your students still need some coaching with this skills, you can add story inspiration pages to your writing center that will help to encourage them to write a story based around a specific onomatopoeic example. I hope you enjoy teaching your students about onomatopoeia as much as I do, and found these suggestions helpful. And now as you ease into the last stretch of the year, you can cross at least one lesson plan off your to do list!